Emmett & the Dark Side of Research – Tell my story. Readers, one thing I have learned in doing Emmett’s research is that the Progressive Movement in which Emmett was an active participant, wasn’t ‘progressive’ in terms of racial or gender equality. Prior to doing Emmett’s research, I had not heard of the NDFPA; further digging reveals that it is quite a racist organization. 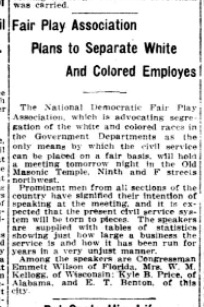 Eric S. Yellin’s excellent book, Racism in the Nation’s Service, which provides a good overview of the NDFPA during the Woodrow Wilson administration, explains that it was founded in 1912 as a means of promoting and enforcing a platform of white supremacy in government jobs. Why was Emmett selected to give a speech before this group? He was a relatively unknown junior congressman new to Washington. Also, while Emmett did make some racist comments here and there in his campaigns, he was not what I would call an ‘outspoken’ racist, nor did he campaign to that effect when he was running for office. 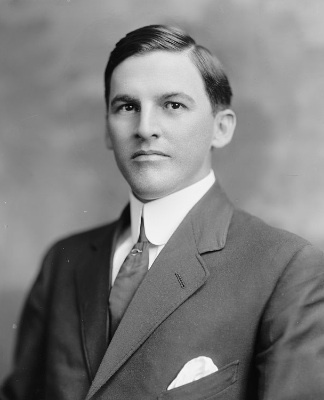 Frank Clark, Florida Congressman, well-known racist. 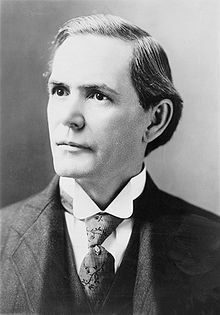 In writing Emmett’s biography, I have to take into account the fact that he probably was a racist; perhaps not as outspoken as some of his colleagues in Congress, such as Frank Clark, who represented Florida’s Second Congressional District and served at the same time as Emmett. In fact I wonder why the NDFPA didn’t ask Frank to give the speech. Emmett was a product of that environment; perhaps I should not be so surprised to find some of the racist comments I’ve found in his political speeches? This is a dark part of the research for me. Up to this point, I’ve found Emmett to be a man who worked hard to do the right things for his constituency. He truly believed the Progressive Movement was the best thing for people in general. And yet, it isn’t as if I am expecting to find a ‘perfect’ person in Emmett. He was no saint. There are no articles in The Pensacola Journal reporting him walking on water in Pensacola Bay, or performing or any superheroics in his law practice. He was just a man, doing the best he could, in the environment in which he lived, at a less-than-perfect time in our history. Maybe today’s event is a message that I need to let go of my expectations, whatever they may be, while conducting the research. Because, clearly, my expectations may stand in the way of the discovery process.